There are two types of taxicab in Morocco: small cabs that carry a maximum of three passengers, and larger taxis that can carry up to five. Smaller cabs will not be found at stands but can be hailed. For these, the fare is determined by meter, but they may pick up additional customers during another passenger’s ride. The larger cabs may be found at taxi stands or by waiting at the stops that the cabs pass by routinely. For these, one must negotiate the fare before getting in. 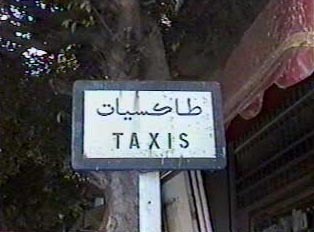 Moroccan taxicabs tend to be inexpensive by western standards. One can ride to the airport for between ten and fifteen American dollars. The experience of taking the bus varies from city to city. Buses seem to be a site in which the varying segments of the population tend to clash, if not openly, covertly. More westernized Moroccans are not always welcomed by the more conservative, predominantly Muslim population on the bus. For this reason, the bus is not necessarily the easiest form of public transportation for international travelers. City buses run throughout the cities and suburbs, and tickets may be purchased on the bus. The conductor will clip the ticket as a form of validation. Moroccans also use the bus to travel between cities. Inter-city buses are clean and tend to run on time, but the local routes take far longer. Vendors come onto the bus to sell food, and the more reputable companies generally have one relatively short rest stop during the trip.